She will host an initiative after her experience during the hurricane. CHARLOTTE, N.C. & GURABO, Puerto Rico - March 12, 2018 - PRLog -- Over the past year, Gia Mar Ramos, a freshman from Saint John's School in Puerto Rico, has collected a staggering number of accolades for her exceptional work in S.T.E.M. (Science, Technology, Engineering, and Math). A 2017 ProjectCSGIRLS National Winner, Gia Mar has also garnered significant recognition for her performance in academic competitions like Math Olympics and VEX Robotics. 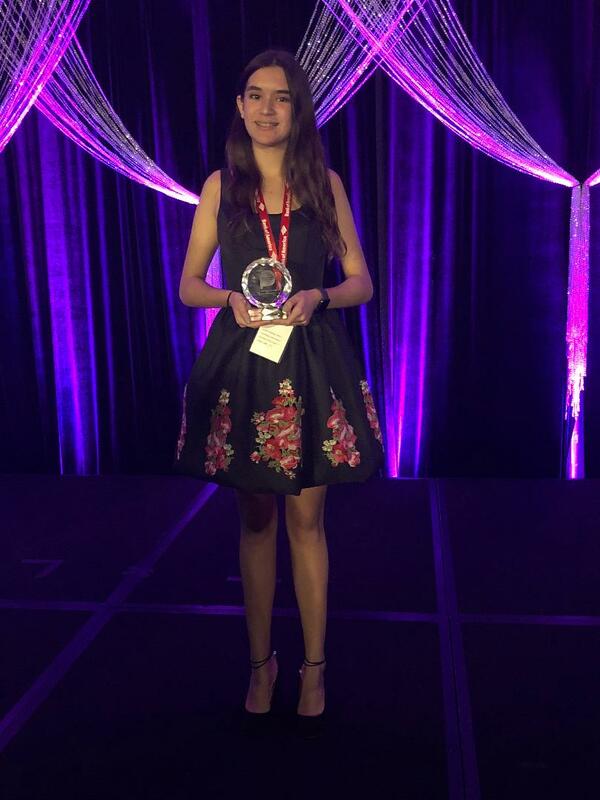 Recently, Gia Mar has earned her most prestigious accolade to date: The NCWIT (National Center for Women & Information Technology) National Award for Aspirations in Computing. She was one of only 41 students nationwide and the only 9th grader and Puerto Rican to earn this honor from a pool of over 3,600 applicants. As their website explains, "The NCWIT Award for Aspirations in Computing builds a talent pool for the growing technical workforce and helps academic and corporate organizations celebrate diversity in computing by honoring young women at the high-school level for their computing-related achievements and interests. Award recipients are selected based on their aptitude and aspirations in technology and computing; leadership ability; academic history; and plans for post-secondary education." Gia Mar superb academic history in S.T.E.M. 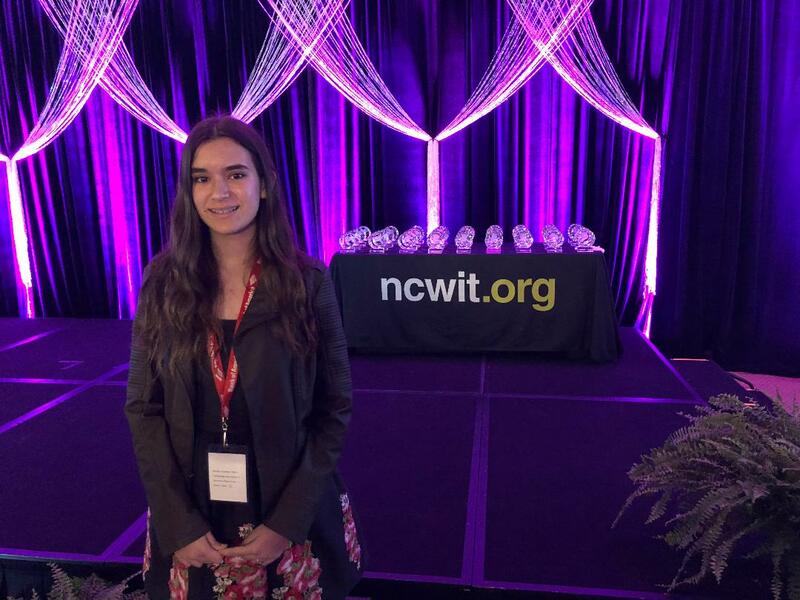 made her a compelling candidate for the award, but as her NCWIT profile describes, what distinguishes her most is her leadership in the field: "Gia Mar has been passionate about using technology to solve important issues, which is why she made SNAPStroke, an mobile app to address the issue of a stroke and gets the treatment soon using machine learning and computer vision. For her innovation, Gia Mar is a 2017 ProjectCSGIRLS National Winner and 2017 InnovateHER Puerto Rico Finalist sponsored by U.S. Small Business Administration. She won 2017 Girl Who Leads award conferred by Frances Ríos Enterprises and the Governor of Puerto Rico." As part of her award, Gia Mar also won an all-expense paid trip, provided by Bank of America, to the National Award weekend, March 9-11, 2018 at the Ritz-Carlton in Charlotte, North Carolina. Thank for the weekend experience, she has a new venture this summer. She explains, "This year, I will host all-girls summer program, "Making a Difference – Girls, Technology and Social Change," will focus on utilizing programming to promote social change, focusing specifically on emergency and catastrophe, inspire by the rougher experience during Hurricane Maria. Girls will learn about technology and team building skills, and how programming applies to robotics."